Spring really is the best time to visit Italy! Italy in spring is absolutely amazing. Being a local I’m probably biased, but I think it’s the best time of the year to visit Italy, for a number of reasons that I’ll gladly share with you. It’s not only about the weather, but also about prices, (the lack of) crowds, food and so much more! 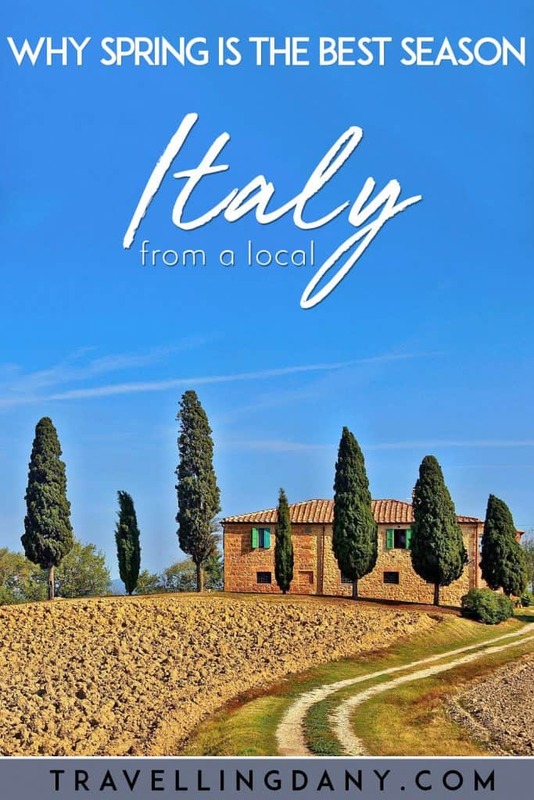 If you have planned a 10 day itinerary to visit Italy you probably have already decided where to travel to. But are you sure you know when you should visit? 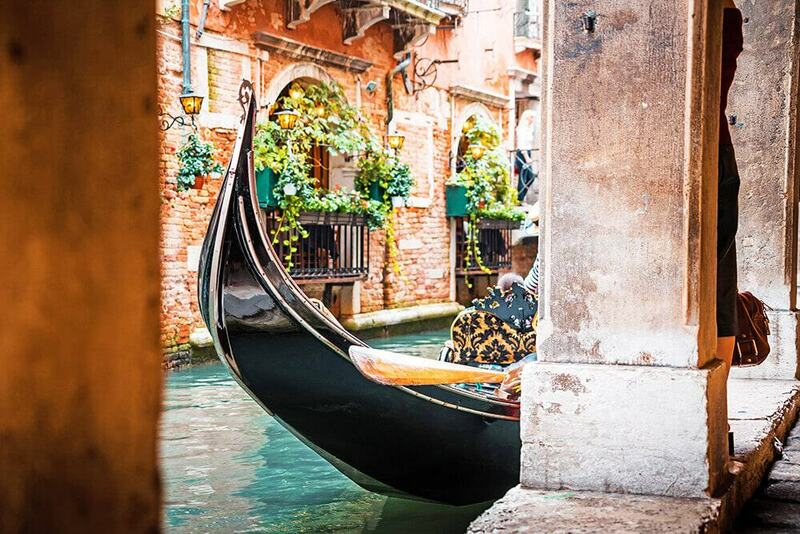 Let me tell you everything I know about a spring break to Italy and why it’s a smart idea! 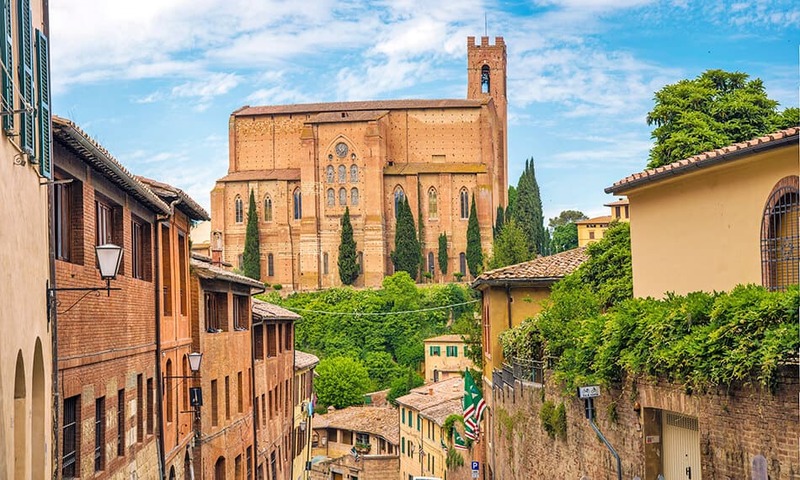 The Tuscany countryside is stunning in spring: add Siena to your bucket list! I’ve probably told you already that touring the Amalfi Coast in August might not be ideal. There are so many tourists that usually locals just run away. Traffic is the norm, so buses slow down and become unreliable. Prices are insane because it’s high season, so everything is booked well in advance. The rest of Italy is more or less the same. Which is why you should travel to Italy in spring in stead. The highest seasonal prices are usually applied to July and August. So from the end of March to the June you will be able to visit Italy on a budget. After you have decided where to stay on the Amalfi Coast (or Cinque Terre, or anywhere else) check out the spring rates against the summer rates: sometimes July and August see a 100% increase! Insane, right? If the Vatican museums or the Colosseum are on the top of your bucket list, plan your trip to Rome in spring: the lines will be super short! You will then have more time to search for awesome souvenirs from Italy in stead than having to wake up at an ungodly hour just to push your way through the crowds. Hiking in spring is also going to be awesome because it’s not too warm. Many people prefer to visit Cinque Terre by the end of April or the beginning of May to hike the best trails. As if it wasn’t enough, spring is the season of flowers! The only other place with so many flowers we’ve visited is Amsterdam, but Cinque Terre park in spring is absolutely amazing as well! So if you can’t make it to Japan for cherry blossoms season, consider visiting Italy in stead! In case you’re wondering what the best time to travel to visit Italy can be if you want to tan, I will have to reiterate my choice: being Italian I’d pick a solitary beach in May over an overcrowded one in August every time. The weather will be good enough (keep reading for more info), especially in the Southern regions of Italy. So if you want to enjoy the best beaches on the Amalfi Coast or if you’re planning to dip your toes in the Sicilian sea there’s no better season! We’ve visited Puglia region in July for my birthday and let me be very honest with you. There wasn’t even enough space to lay our towel on the sand! It was beautiful but loud and particularly crammed. 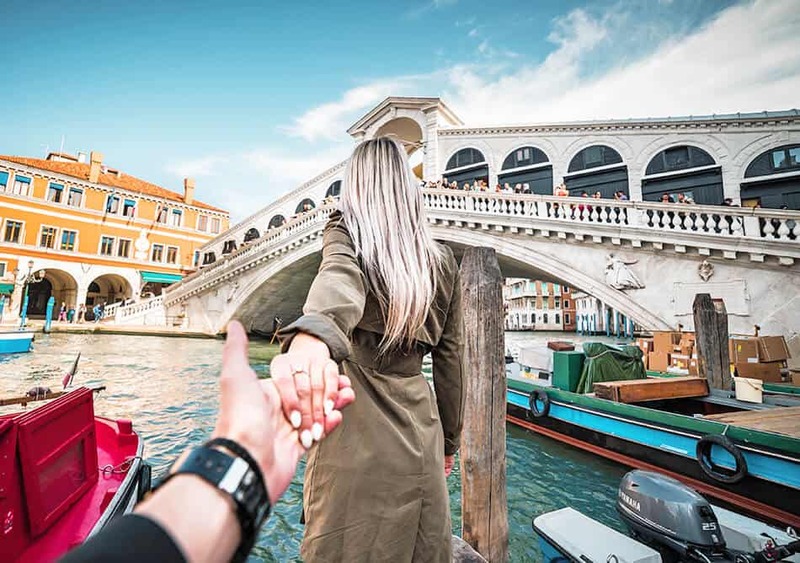 After planning your trip for so long I think you deserve to enjoy Italy at its best, am I right? 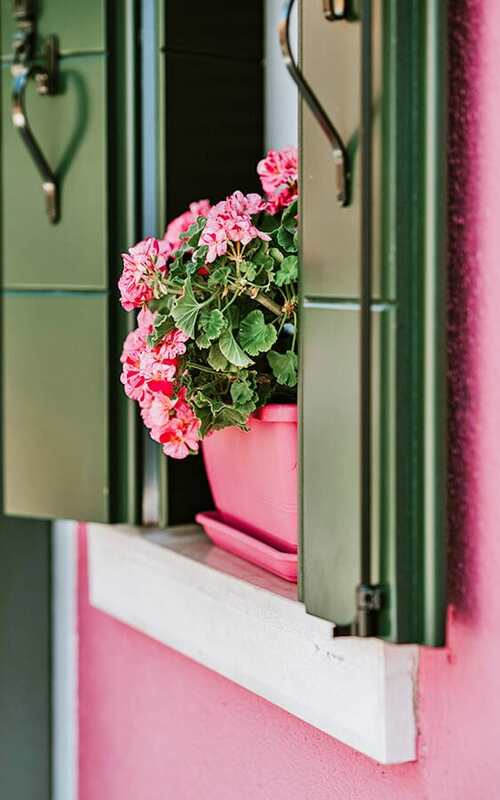 To make it short, spring is the best time of the year to visit Italy because it’s cheaper, full of flowers, less crowded and the weather will be perfect. Oh, and of course you’ll get to eat some delicious food as well! Keep reading for more info about that! 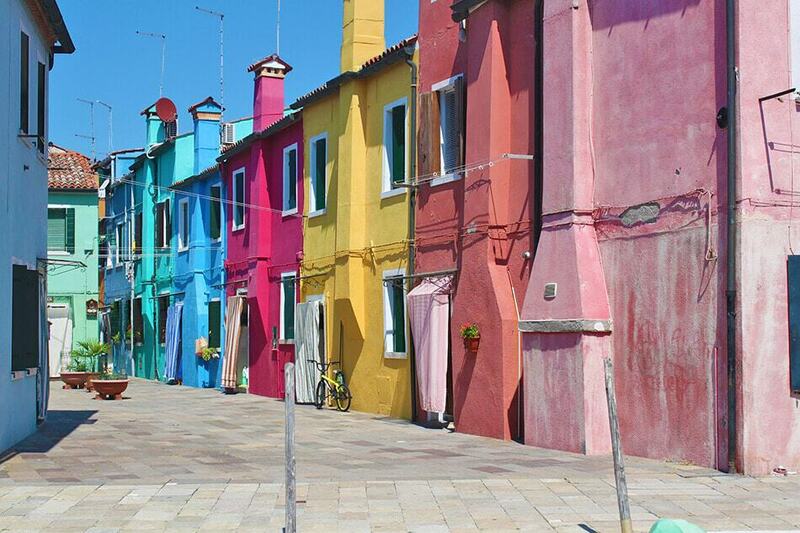 …so you can enjoy the bright colors in Burano and Murano! Provided that Italy in spring can be warmer in the South and slightly chillier in the Northern regions, there are some things the whole Country has in common. In Italy we say “marzo è pazzo” (March is crazy), because the weather in Italy in March can be unreliable. One moment there’s a bright, sunny day, then all of a sudden it starts to rain. Ouch! In Naples sometimes we have this absolutely weird weather so that while we’re still wearing light jumpers, we’ve had to move on to summer t-shirts within days, because it was so warm already! The average temperature in Italy in March is more or less the same throughout our peninsula, with the exceptions of the mountain areas where it’s colder. The usual low is about 5°C, while the average high can get up to 16/17°C. Be aware that the weather might be unreliable in the early stages of spring (after all… Marzo è pazzo! ), but you can mostly fix everything by packing smart (keep reading for more). Also it’s worth mentioning that due to the global warming Italy is getting warmer, so it’s also more difficult to predict the seasonal weather (which is why you should be prepared at all times!). Weather in Italy in April should already be getting warmer. All the areas surrounding the Mediterranean sea will possibly have high averages that might allow you to enjoy a nice day at the beach. I’m thinking especially of Sicily and Puglia! The Amalfi Coast weather in April will be mild and not too rainy. Perfect to enjoy Positano without having to push through the crowds. The beaches in Positano (and on the whole Amalfi Coast) are in fact usually quiet in April. The locals know that it’s the best time to visit the Amalfi Coast, and in fact me and Aldo go there every weekend, but only the smartest tourists decide to book a trip in April! Milan in spring will be definitely lovely, as April and May are sunny, bright and not overly hot. Of course you should be prepared because it might be raining, but it never lasts for too long. Say you might get a sunny day and one hour of rain in the afternoon: I’m not sure about you but I’ll take it if it means enjoying the city when it’s less crowded! Also if you are visiting Milan in April and you are into design, maybe you could attend the Salone del Mobile Milano. If you’re not interested, you should still note it down. Finding a hotel during the Salone week is going to be difficult so you might want to avoid Milan at least from April 9 to 14! Venice weather in April is going to be sunny, so you could also plan a nice boat tour to Murano, Burano and Torcello. Be aware that Venice Carnival is usually held 40 days before Easter. The same as every other city in Italy. Yet because the celebrations in Venice are huge, the city will be super-crowded and pretty expensive. The weather in Italy in May is usually warm and nice wherever you go. Average temperatures are about 20°C so you will need to dress accordingly (keep reading for a few more tips about that) and you can hit the beach without having to worry about it being too rainy! Because we often travel only using cabin luggage, we have learned quite a few packing tricks to make sure that we only bring items we’re actually going to use. What I always do is to write down what I would like to wear for every day of my trip. If I don’t want to always wear the same outfit, I note down that I will reuse a specific pair of pants for two or more times, but I always change my shirt. That way you can mix and match and you won’t look the same in every one of your travel pictures! In case you’re not sure about the weather, the best thing to do is to pack layers of clothes. Should you be worried, you can pack a thermal shirt, but I promise you that Italy in March won’t be that cold! Of course if you’re worried about having to pack bulky clothes, especially if it’s a particularly cold spring, there’s a trick. Pack lighter clothes (not too light!) and a thermal shirt that you can use underneath. It should keep you warm enough and it’ll only use a fraction of space in your luggage if compared to a sweatshirt. Cotton long sleeve shirts and blazers are my go-to for spring. And denim, of course. I like to wear skinny jeans, but in case you’re visiting Italy in April, May or June, leggings will be perfect! Be aware of the fact that May and June will be quite warm in Naples and the South of Italy, so you will absolutely need to pack lots of t-shirts! Always make sure you pack comfortable shoes or boots that won’t hurt your feet. In stead than bringing lots of them, only carry with you waterproof walking shoes and maybe a pair of flats that you can wear to enjoy the Italian nightlife. Flats are perfect because they don’t take too much space in your luggage! Speaking of space, it’s a good idea to bring a lightweight foldable raincoat for your spring break in Italy. It’s another one of those things that you will be thankful for, in case the weather changes too suddenly. Many people are very worried about spending the Easter weekend in Italy. They always ask me if there is going to be something open or what they can do. In case you’re planning to visit Italy in this period, there’s no need to feel anxious. Museums in Italy will be open at Easter. Also make sure to check if it’s the first Sunday of the month: in that case you can visit them for free! Shops are also usually open at Easter. Maybe they might be closed in the smaller towns, but nowadays there are so malls everywhere, so you can always go there to enjoy some some window shopping. Usually the bigger shopping centers are open at Easter. Us Italians love to go out at Easter (“Pasqua” in Italian), and even the more so on Easter Monday (we call it “Pasquetta”). So while the restaurants will be open, you might have to book in advance. Usually one or two days in advance should be enough to secure a table. 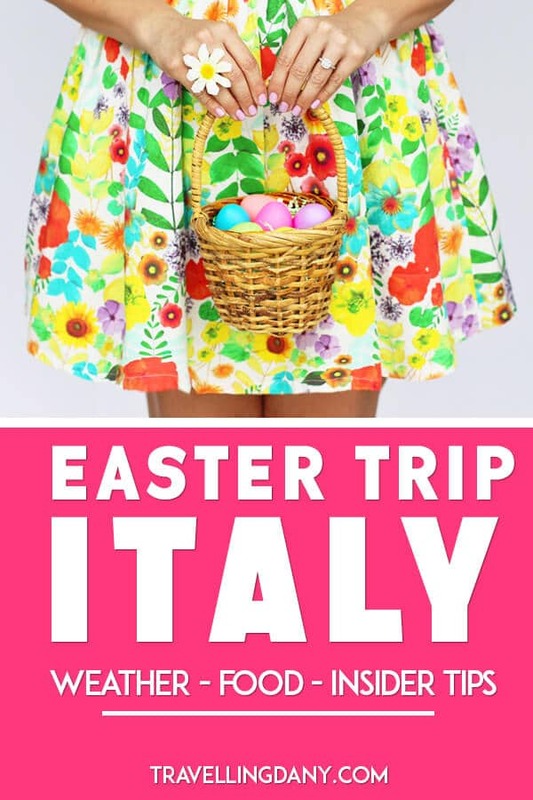 Yet if you’re visiting with a large group and it’s Easter in Italy, make sure to reserve up to one week in advance, so they can accommodate you. Sometimes restaurants have fixed menus for Easter and the Easter Monday. If you have dietary requirement it’s a good idea to let the restaurant know in advance so they can prepare a different menu for you. Lamb meat is popular in many Italian regions for the Easter festivities. Make sure to ask in advance if it’s on the menu, so you can ask them to cook something else if you don’t feel like eating it. In Italy it’s traditional to gift chocolate eggs at Easter. They can be small chocolates or bigger ones that are usually filled with a surprise. Of course you will find the Lindt gold bunny in every shop. My favorite chocolate egg? To be honest I don’t really care about the surprise and my favorite chocolate egg doesn’t have one. It’s the “Nocciolato Gianduia” by Novi. The best part of this egg isn’t just the chocolate, but the 140 whole hazelnuts from Piemonte region! It is pricey if compared to other brands but it’s also 100% Italian and it’d make the perfect souvenir if you want to surprise someone by buying the best chocolate ever! 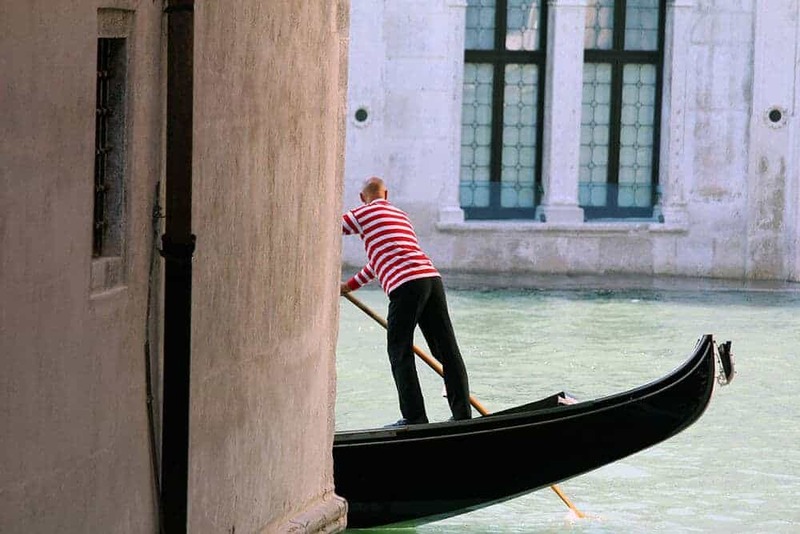 Venice is absolutely fabulous in spring because it’s never too crowded… but be aware that Carnival changes everything! 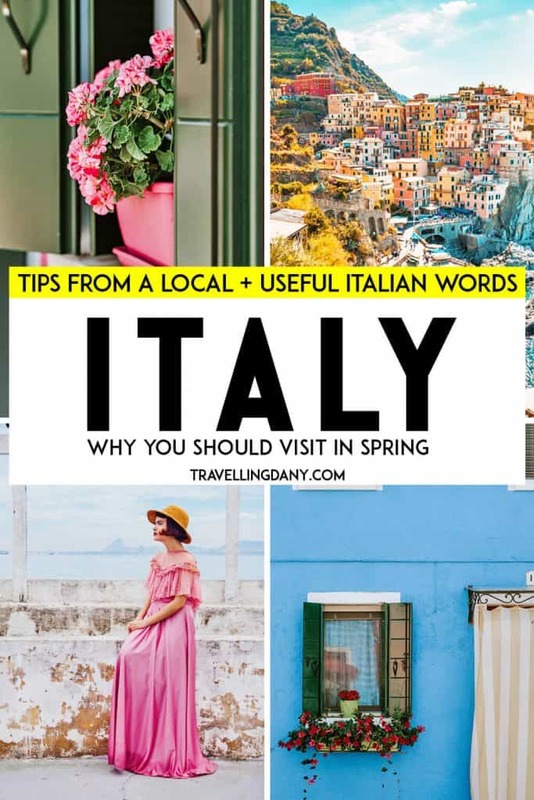 Many of my favorite destinations for a spring break in Italy are here in the South. Again, I might be biased but the fact is that here summer is very hot so spring is perfect ! You can in fact visit without melting under the sun! Naples and Mount Vesuvius: hiking Mount Vesuvius in spring is absolutely mandatory if you’re planning to visit Naples! Make sure to bring a pair of hiking boots with you: the way up is quite tricky! Pompeii: the weather in Italy in spring is mild, so you will be able to take the long detour at Pompeii. The long itinerary lasts about 4 hours and includes all the new discoveries. I don’t suggest walking the long tour in summer because you might feel faint under the sun. There’s no shadow at all in Pompeii! Capri and the islands: you can plan a day trip from Sorrento to Capri in spring to make sure that you won’t find it crowded. Enjoy the beauty of the Blue Grotto (“Grotta azzurra” in Italian), Anacapri, Ischia or Procida without having to push your way through the crowds to take a few pictures! 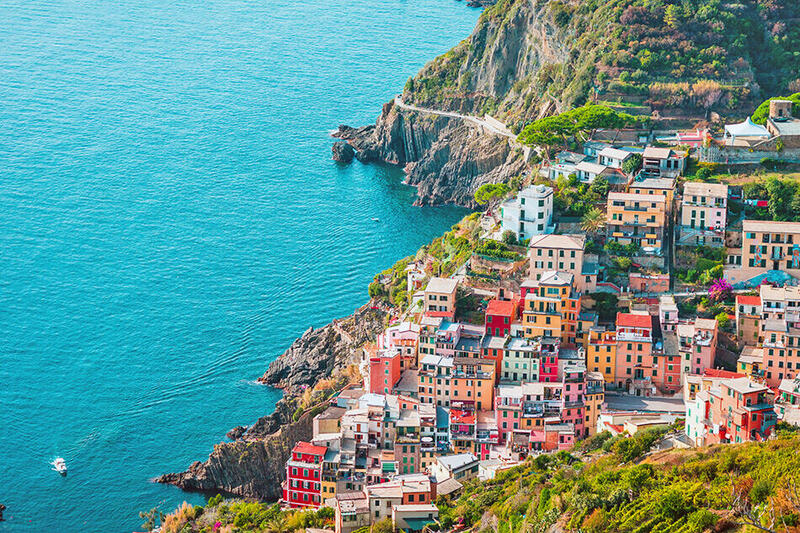 Amalfi Coast and Cinque Terre: Unless you’re planning a long road trip in Italy, you will have to decide which one you want to visit Amalfi Coast is in the South of Italy, while Cinque Terre is in the deep North. They have in common the fact that spring is usually less expensive and less crowded. Both will be full of blooming flowers! Venezia: As I already mentioned, Venice in spring is so beautiful. 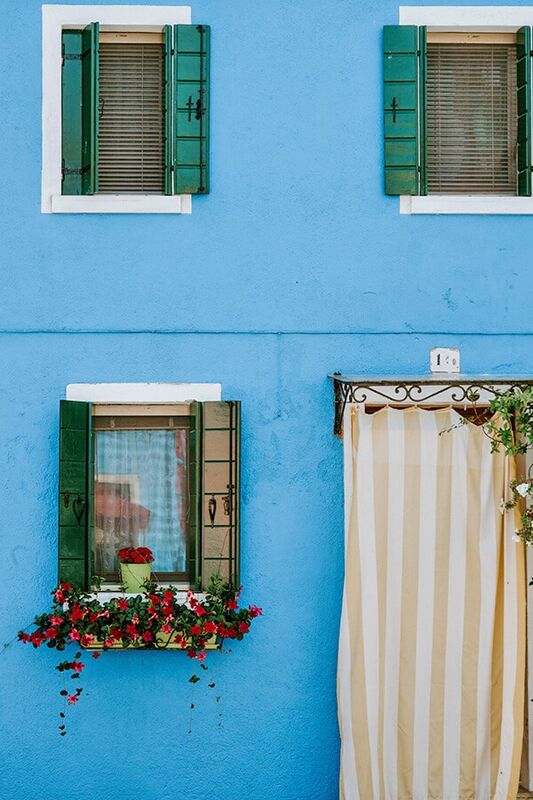 Enjoy a romantic stroll in the evening with your significant one, or hop in a boat tour of Burano. You won’t be disappointed! Rome: Just like Florence, Rome is always crowded. 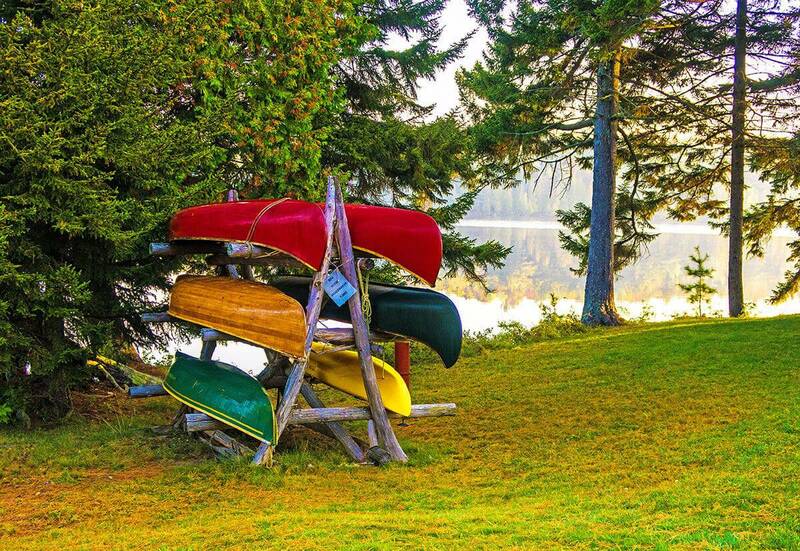 Yet if you visit in spring you might find slightly less overwhelmed, and the weather will definitely be more pleasant. I can tell you for sure that you don’t want to wait in line for hours to get into the Vatican Museums under the scorching August sun! Sicily: Whether you want to tan or just to enjoy art, culture and delicious food, Sicily in spring is always a good idea. The weather is usually perfect so you might be able to enjoy the turquoise waters in Sicily also by the end of March! Puglia: visiting Puglia in summer is never advisable. Salento is super-crowded in July and August. So visiting in April, May or June will help you to enjoy the area, to plan a foodie trip or a few cooking lessons with the locals without getting too much stressed. Also Puglia is super-cheap if you visit off season, if compared to other destinations in Italy! 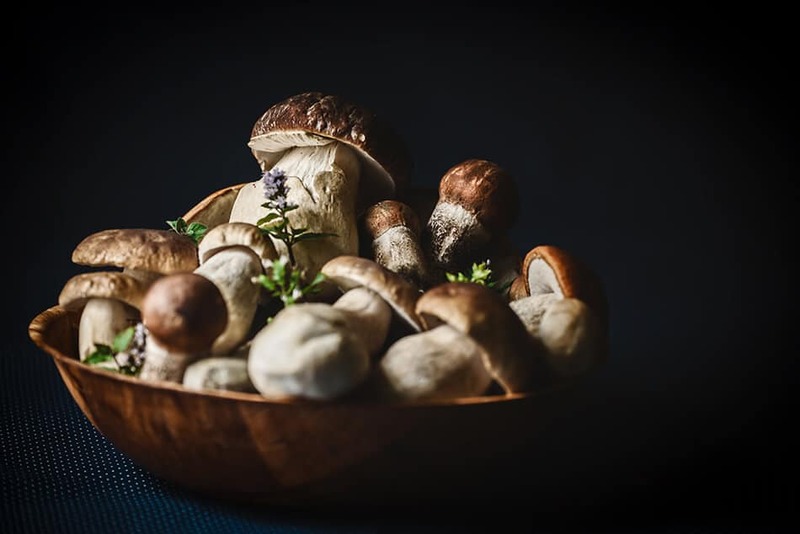 Funghi Porcini are my addiction: have you ever had them in Italy? 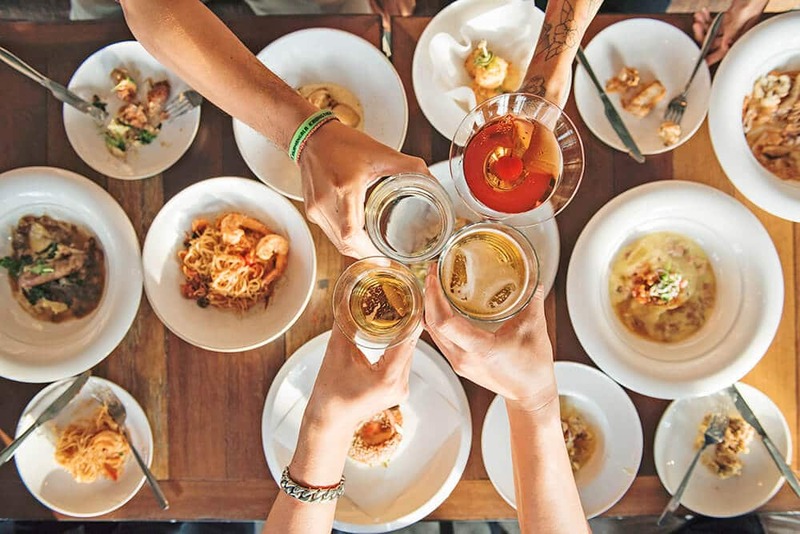 As you probably already know, food in Italy is delicious and it’s part of our traditions and culture (so is “caffè” so if you visit the South make sure to go to a Naples Cafe!). Every region has great dishes, each different from the other, and you should always aim to eating them where they have been nurtured for centuries. You can’t expect a pizza in Naples to taste like the one we cook in Rome: here in the South is soft and pliable, while in Rome it’s crunchy and thin. Of course you should remember the tipping etiquette in Italy at all times, to make sure you don’t offend anyone when ordering something at the restaurant! But what are the very best dishes you can eat in Italy in Spring? Lamb: Traditionally cooked for Easter in many Italian regions, it can be prepared in many ways (in the oven with potatoes and peas, charbroiled, “scottadito” in Rome, etc). Not everyone likes it in Italy, to be honest, both for ethical reasons and because its meat has a strong scent and taste. Asparagus: This super-healthy veggie can help fight cancer and is good for your brain. We absolutely love it in Italy and while we eat it in so many ways (also as a side dish), one of the best recipes out there is Risotto agli asparagi. It is cooked in many Italian regions but in Veneto they always prepare it with the freshest asparagus. Subrich: A kind of savory pastry cooked in Piemonte region, with a crunchy shell filled with fresh herbs, spinach and asparagus. Everything is mixed with eggs and Parmigiano, then it’s cooked in the oven. Some restaurants prepare deep fried Subrich but it’s not the traditional recipe. Artichokes: another staple of the Italian cuisine, artichokes can be cooked in so many ways. Here in Naples they fill them with garlic, bits of cheese, some salt, fresh parsley and olive oil, then they char broil them slowly. We call them “Carcioffole arrustute” in Neapolitan dialect! In Rome they cook “Carciofi alla giudia“, deep fried so that they look like blooming flowers, and so on. Artichokes are a must eat in Italy in spring! Mushrooms: I’m absolutely mushrum-bsessed. My mom is always shaking her head at me whenever we have pizza in spring. Everything I ask, all the times, is that it has fresh mushrooms on the top. I’m addicted! If you have never had “Funghi porcini” (Porcini mushrooms) you absolutely have to eat some in Italy in spring. They are delicious and while the very best period to eat them is between August and October, many Italian regions collect fresh Porcini also in May and June (also called “Porcino d’estate“, summer Porcino). 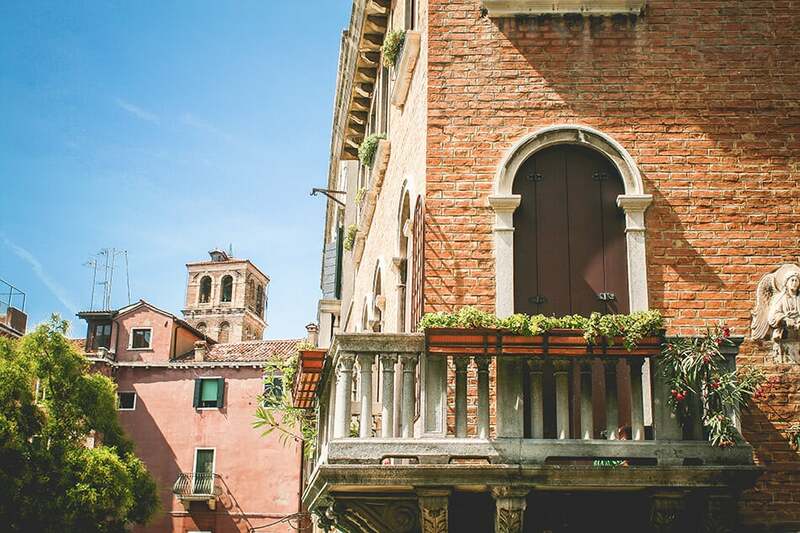 Have you decided that the best time to visit Italy is spring? Let us know in the comments if you’re visiting this season!